Pain in the elbow, wrist and hand can make it difficult to go about daily tasks. Whether you are driving, chopping up vegetables for dinner, or just opening a door, you need your elbows, wrists and hands to get the job done. When you are experiencing pain or stiffness in these parts of your body, it can cause you to stop doing the things you normally do. Fortunately, physical therapy can help. If you are struggling with pain in your elbow, wrist, and hand, please let us know. Our physical therapy team can help you minimize the pain and regain the use of your extremities. Most people have heard of carpal tunnel, as it is an extremely common condition affecting those who perform repetitive motions at work — like typing on a keyboard. Pain, tingling, numbness and burning are all possible with carpal tunnel and are generally felt in the elbow, wrist and hand. It can result in loss of function in the hand if left untreated. If you are dealing with pain in your elbow, wrist or hand, please give us a call. We are standing by to help you get relief from your pain. 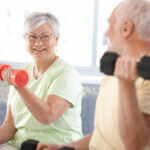 We serve in-home physical therapy services. We are available at Wilmington, New Castle County & Kent, DE centers.